All homeowners want to take good care of their properties. Ensuring that the locks you have installed are providing you with optimal security is just part of basic home maintenance. Atlanta, GA, homeowners need to be able to trust that their residence’s locks will not leave them vulnerable to burglaries, lockouts, or any other unpleasant security situation. This may seem like an easy enough thing to do, but sometimes we need to be reminded not to take security for granted. Even the most reliable locks are not immune to damage, so keeping an eye on all your security fixtures, and immediately addressing any underlying issues will save you from further problems in the long haul. Lock replacements are not just a matter of changing locks that are damaged. There are a number of different situations in which our Atlanta, GA, locksmiths strongly recommend you replace the locks in your property. With that in mind, here is an overview of when a lock replacement is called for. Can you really trust your old roommate to not have made extra copies of your house keys? Do you know exactly how many key copies were made by the previous owners, and to whom these have been given? Do you trust your ex-partner or spouse to not try to pry their way into your property unannounced? Even if you trust the people that previously resided in your property, it’s better to be safe than sorry. We can’t emphasize this enough. It could well be that the previous occupants have given key copies for your neighbors, their family members, or even their friends. Who is to know people aren’t going to try and enter your new home when you’re not around? That’s why a lock change is strongly recommended. Re-keying your locks will remove any suspicion of break-ins by previous roommates, tenants, partners, and anyone else who may have occupied your property. It will also enable you to have full knowledge and control of who has access to your home. Which actually brings us to our next sets of lock replacement scenarios. Remember too that a broken, malfunctioning or worn-out lock can lead to lockout situations. We strongly recommend that you replace your locks before it’s too late. 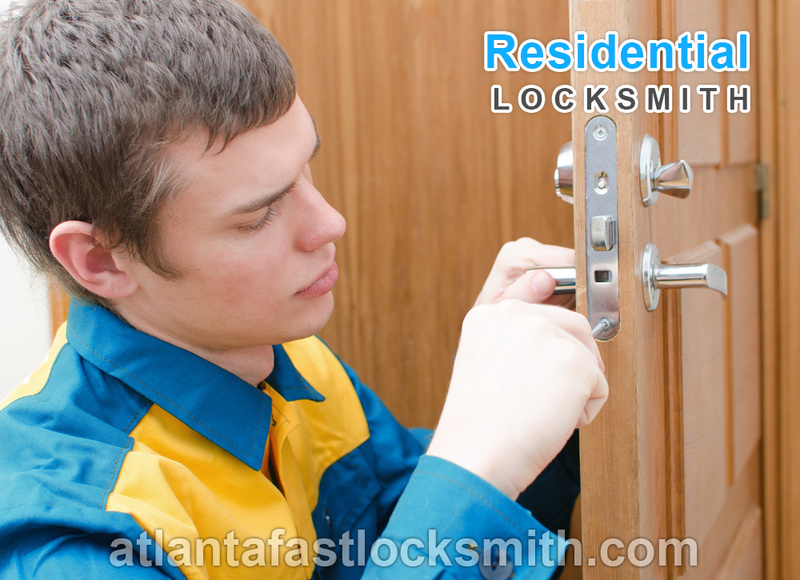 As a last resort, our Atlanta, GA locksmiths are on-call to help you regain access to your property after a lockout 24 hours a day, 7 days a week. Now that you know when to change your locks, we will tell you about the most common signs of damage. Identifying locks that need to be replaced can be quite simple. Take a look at the locks you have installed. Do you see any signs of tarnish? Are they rusted, or showing visible signs of wear and tear? These are all signs that you are due for a lock replacement. Apart from visible signs of damage, you should test your locks out by trying to lock and unlock your door. If you experience difficulties getting the keys into your locks, if your key is getting stuck, or if you need to force your way into the lock, then you are guaranteed to need a lock replacement. These types of situations should be tended to as soon as possible to prevent stressful situations like lockouts and, in some cases, break-ins. Still in doubt? Call a locksmith and request an inspection. Any trusted locksmith service provider in Atlanta, GA, will be able to identify all damage and recommend the best fixes for it. They will even have the right tools and components to take care of all issues right on arrival, so that your property’s security doesn’t suffer because of unreliable locks and keys. Now that you know the when, and what, we will move on to the how. Here is what to do when it is time to replace those unreliable security fixtures. Usually, when lock replacements are needed, the outer locks get top priority. The reason for this is pretty straightforward – these locks are everyone’s first point of access to your property. If these need replacing, we recommend you do so immediately. Then, if needed, inspect whether your inner locks could benefit from a replacement too. 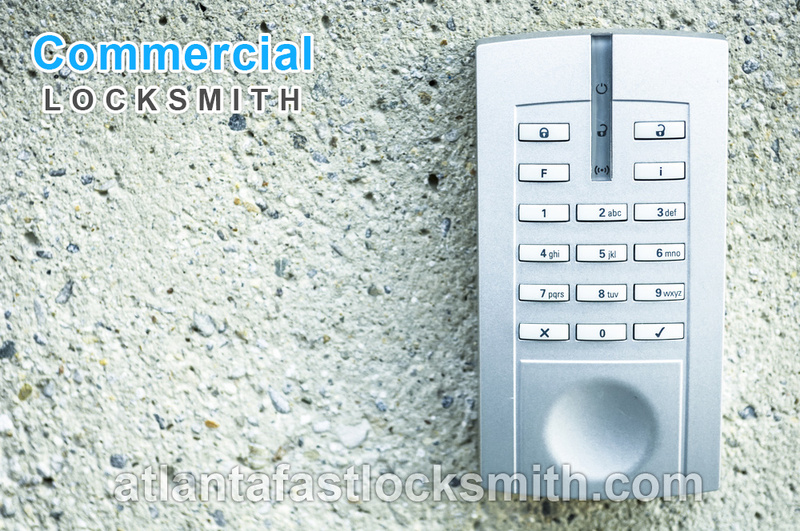 If you need to replace or re-key the locks in your property, get in touch with a locksmith, such as Atlanta Fast Locksmith. They will be able to provide you with up to date locks, using the best tools and technologies, and will be able to do the job in a highly efficient manner. Keeping your locks in good condition will help you save money in the long term. Think about it – would you rather pay for affordably priced lock replacements, or to pay for much greater damage because of unreliable home security? A qualified locksmith is able to handle all issues quickly and effortlessly, so you should never put your property at risk. 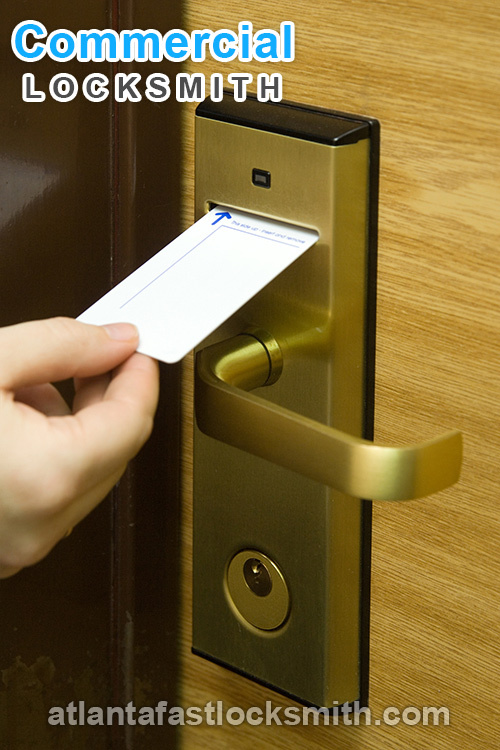 In the most urgent cases, like forceful entry, a reliable locksmith service provider will be able to attend to Atlanta, GA, lock issues and replacements 24/7. This is more than the aforementioned lockout help, with locksmiths tending to all break-in damage as soon as possible. This is a service offered by the best locksmith service providers in Atlanta, GA, to ensure that all properties are fully protected and never undermined by faulty security. Remember, lock replacements will help you protect your home. So, keep your security in check by making sure that all your home locks and keys are in top working condition.